I took these two photographs at one of the landmark sites of modern American history and African-American commemoration: the Lorraine Motel in downtown Memphis, where Dr. Martin Luther King, Jr. was shot and killed on April 4, 1968, and which since has been preserved as part of the National Civil Rights Museum. It is impossible to fathom how often the Lorraine has been photographed, from the now-famous picture by Joseph Louw taken right after the assassination to the millions of shots snapped by visitors drawn to the motel over the past half century. 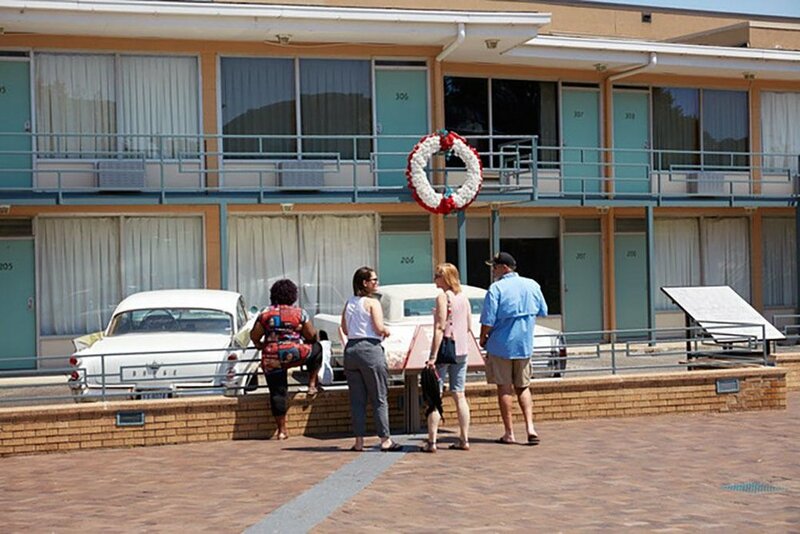 In June 2016, I went to the Lorraine Motel as the photographer for a BBC Radio documentary about the Green Book guides, which were published from 1936 to 1967 to inform Black travelers of establishments that offered safe and dignified accommodations on their journey through the Jim Crow South. Formerly a Whites-only establishment, the Lorraine became one of these havens after it was bought, and renamed, by Walter and Loree Bailey in 1945.